Manual transmission (m / t), implies some difficulties in administration. In particular, to smoothly move on the mechanics the first time be able to novice motorists. The work of mechanics is based on the grip. This mechanism connects the gearbox, which is located in the interior of your vehicle with the internal combustion engine. Then the vehicle is ready to start. Find the right pad with smooth surface for your first lessons. Prepare the car: adjust the mirrors, open the Windows to better hear the car motor. Be sure to buckle up because a bad experience can lead to a sharp jerk of the machine and, consequently, to injury. Remember the purpose of each pedal. 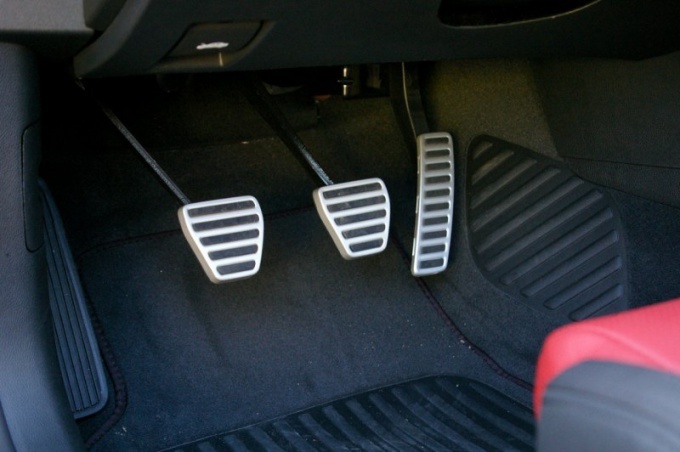 First on the left is clutch, middle is brake, right is gas. To successfully start on the mechanics, you need to check isn't whether the clutch pedal, can you "squeeze" to the end (if not, adjust the car seat). Move the gearbox (move the lever) in neutral position. In neutral mode, the lever must move freely in the left and right side. Start the motor by turning the key, fully depress the clutch pedal with the left foot, and at this point right hold on the brake (gas and brake pedals are pressed always the right leg alternately). Set the first speed. First slowly release the pedal. In one of these moments you should feel the clutch (engine speed will fall). Also, this can be detected using a tachometer - arrow will make a sudden movement. At this moment, press lightly on the gas pedal, continuing to release the brake pedal under the left foot. If your actions are correct, you will start your ride. In order to safely start the transport, turn the key only when you pressed the clutch. It will save you from unexpected sudden movement of the machine, if you forgot to shift the transmission in a neutral mode. If something goes wrong, apply the brakes. To do this, press the brake pedal to the "right" moment. As soon as the car starts to vibrate (speed about 20 km/h), fully squeeze the clutch and switch to neutral mode. There are three possible ways of braking in a car with a manual transmission: emergency, engine, and application of coast down. Approaching the traffic light, you either slow down the engine, or resort to gradual braking. You are not allowed to apply the emergency brake when you stop at the crossroads: so you do will create the emergency, not giving time for a reaction behind you to the driver. 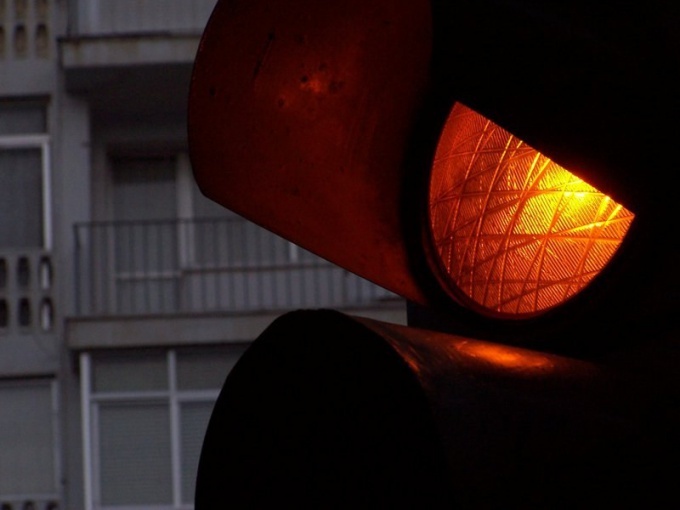 If you see that you will need to stop at a traffic light, you should gradually slow down. Your first action is to lift the foot off the gas. Then hit the clutch and switch the gear lower at the same time slightly slowing down. Lightly press on the brake it is very important, this will inform those behind of your intention to stop. And switching gears is easier, dropping a little speed, otherwise the car can be very jerky. Switch so the transfer, until you reach the second or the first. If the pavement is dry, you can let your car, coasting. For this you need to press the clutch, turn the neutral position of the gear lever. The car will gradually stop (unless you go to the mountains). Keep your right foot ready on the brake, pushing it closer to where you need to stop. Coast that is off the transmission, saves fuel and ensures a smooth stop. But this method of stopping is very dangerous minus the machine, in this case just rolls so poorly managed. In any case it is impossible to apply roll on wet or icy roads. It is convenient to use the coasting, if you're approaching the traffic light, which soon will switch on a green light. Then do not stop completely, and just turn on the right gear (second or third). Then remove your left foot from the clutch and accelerate by pressing the gas pedal. On the slippery asphalt for greater control and handling a car you should always drive with the included transfer. Thus, if you are moving in fourth gear and want to stay after some distance, press the clutch, shift down a gear to third. Even without your influence on the brake the engine will reduce rpm. Wait a bit, giving the car time to slow down. However, you can barely press on the gas. Then again, the impact on the clutch and switch to second gear. Take your time to shift gears. Better start to do it in advance, given that you can slow down on a slippery road is much harder and longer. On wet or icy pavement very unsafe to slam on the brakes, this will lead to a skid. You can short lightly press on the brake along with the clutch. In the case of a skid, your first action is to stop braking.